Two years in the planning, this trip finally took off on the 13th August 2015 with the group leaving Alder Grange and travelling to Uxbridge, west London for a final training day and a session on bag packing to reduce weight to an absolute minimum. 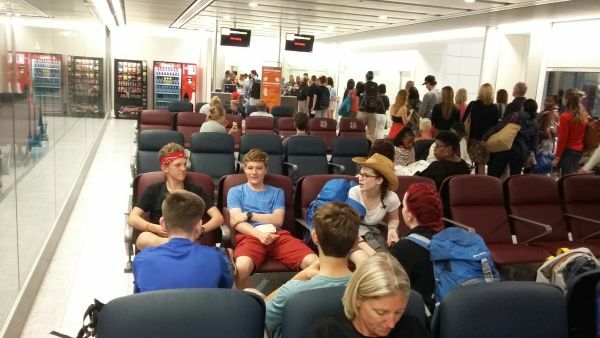 We arrived at Gatwick at an early hour which pupils thought didn’t exist and had an excellent flight to Marrakech. A quick bus ride into town and we were at our hotel. The hotel Ali turned out to be an excellent base; clean, reasonably quiet and cool once the air conditioning was turned on, and only a five minute walk to the bustling Souks of Jamaa El Fna. 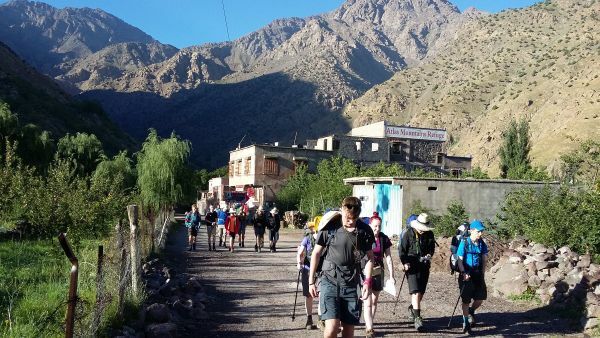 After a day and a half in Marrakech the group moved into the trekking phase of the trip. 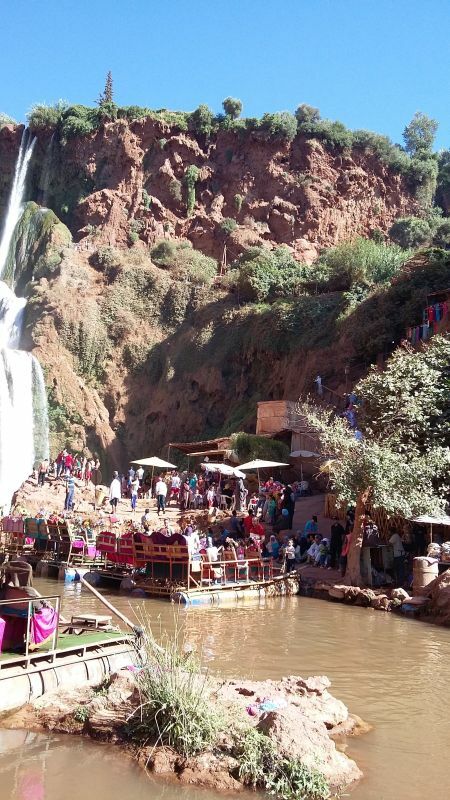 Firstly being transported by mini bus to the village of Imlil in the Toubkal national park and then walking to Aroumd where they stayed overnight in an excellent gîte. The following day saw the group undertake a practice walking day of approximately 12km leading to a camp at Azib Amguedoul. 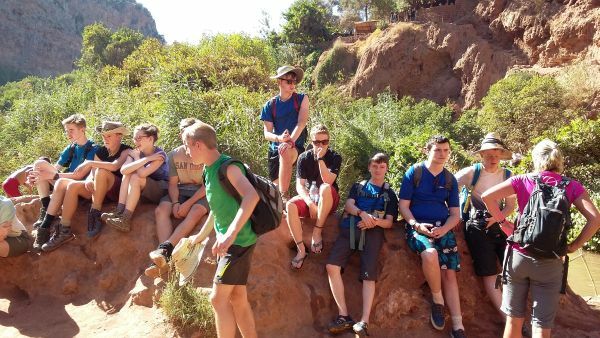 The next day saw the trek begin in earnest with a 17km day for the main group and the same for the Silver D of E group undertaking their qualifying expedition in Morocco. We passed numerous villages almost clinging to the valley sides and viewed the amazing irrigation systems used by the locals to grow their crops on lush green plots, and the groups reached their campsite at a point south east of Imska in excellent time. Almost all enjoyed a relaxing afternoon and excellent food provided by the guides, however the D of E group had to cook for themselves. Day 3 of this phase saw the group again walk 17km up a considerable gradient before reaching the gîte at Ait Aissa where hot showers where had by all. Day 4 and the final day saw both the main group and the D of E group undertake another steep section, climbing over 750m in height over a 2km distance. 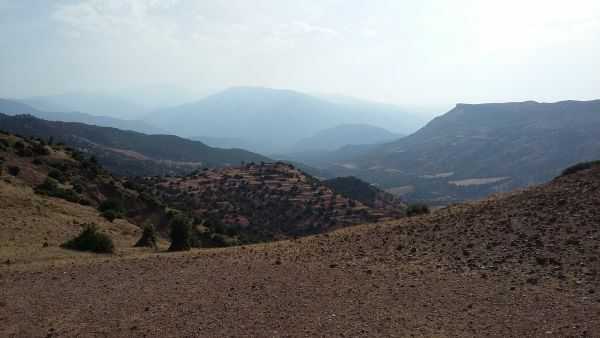 Fortunately the day’s walk was only 12km, and having reached the highest point at Tizi h’Mzik the groups enjoyed a dusty descent back to the village of Aroumd and a relaxing afternoon in the local shops and cyber café. 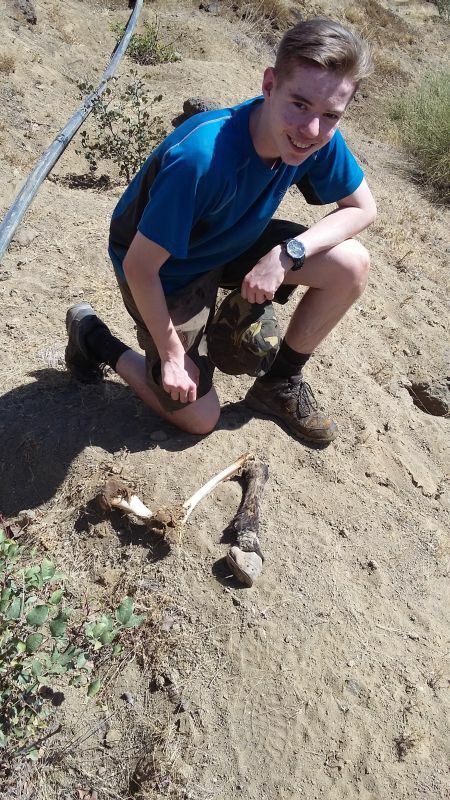 All completed the walk in good spirits, even Sam who endured a crazy mule ride on the last day as blisters prevented him from walking. The D of E group also all passed the expedition phase of their Silver Award with energy to spare! Moving from Aroumd the next day to the village of Asni, we began the project phase of our trip. Over the next three days the group enjoyed several informative and educational walks with Hassan, the project Ansi leader. He took us to visit ancient ruins destroyed over 1000 years ago, the local museum highlighting the environmental issues faced by the area and to the bee hives run by the project in order to produce honey and much needed revenue for the project. 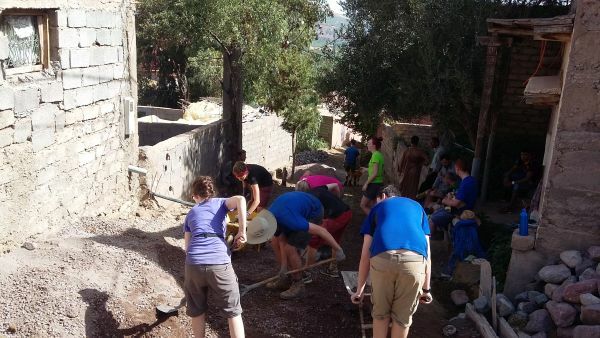 Also during this time the entire group worked hard and helped to irrigate the Olive trees growing on site and helped with the construction of new roadways within the village. Using stones sourced from the river a cobbled surface was prepared on top of the earth pathway, and more gravel was then mixed into concrete and placed over the cobbles; the intention being to reduce the detrimental effect of rainwater run-off on the earth path by providing a concrete drainage ditch adjacent to the concreted surface. 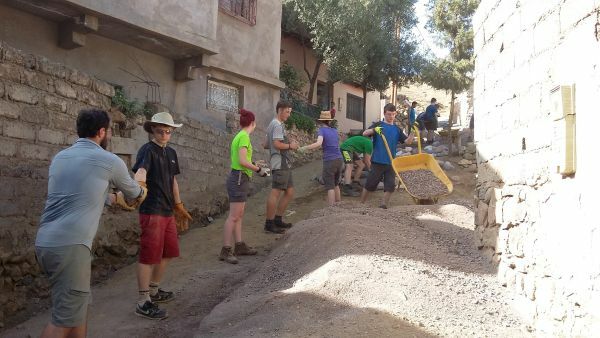 This was a very labour-intensive exercise and to the group’s credit they worked very hard in very hot conditions, helping to build almost 8 metres of new roadway during their time in Asni. 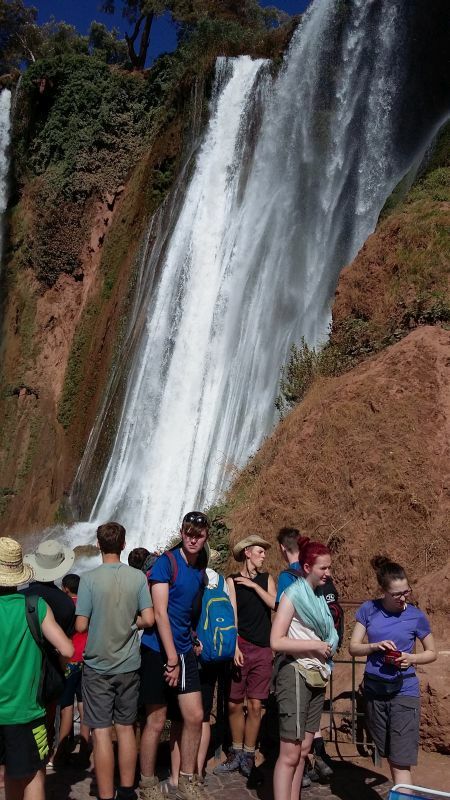 After an excellent final evening, where gifts where given to all of the pupils and the staff, we said goodbye to Hassan and moved into the R&R phase of the trip with a journey to the popular tourist destination of Cascades d’Ouzoud, an impressive waterfall of over 100m of height. 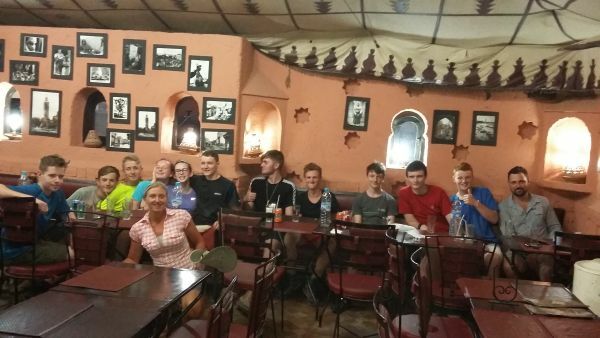 Due to some excellent haggling, accommodation in an impressive B&B was secured and the group set off to view the waterfalls and enjoy an hour of monkey watching in the valley below the waterfall. Later after more hot showers the group enjoyed wonderful tagines in a restaurant accompanied by local music and singing. 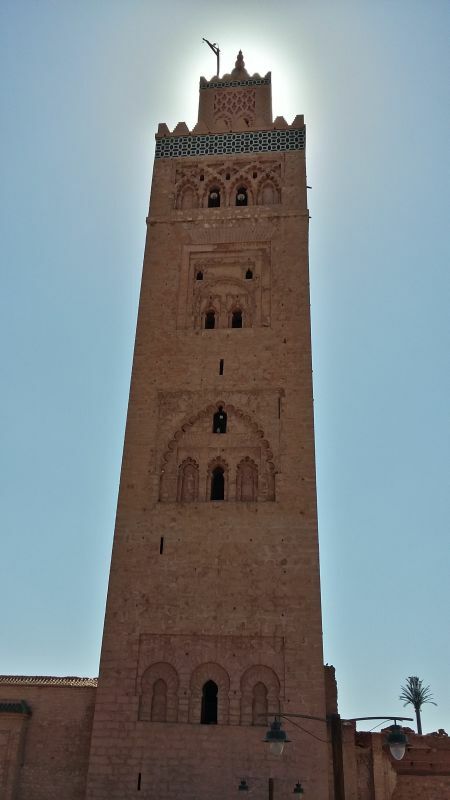 The following day saw the group return via mini bus to Marrakesh and the hotel Ali for a lazy afternoon of sunbathing and shopping in the souks. The final full day arrived and the group spent an excellent morning visiting the Palais de la Bahia and the Palais El Badii before returning to Jamaa El Fna for lunch. After lunch the final opportunity for shopping in the souks was used by most although some returned to the hotel for a rest. 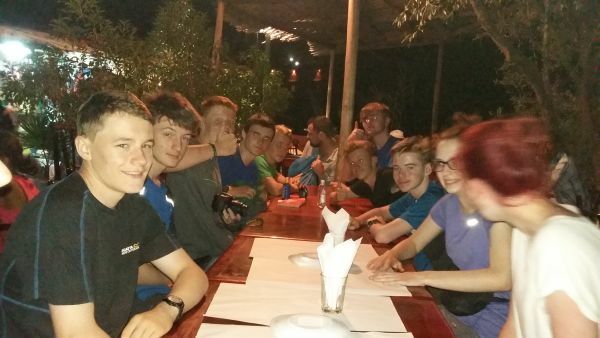 Our final evening meal was taken in an expensive restaurant as the group decided to spend the last of our funds and enjoy a special meal but not before haggling to have all fourteen of us eat for the price of 12! After dinner several took the opportunity to walk through the souks one last time before returning to the hotel and packing their bags to leave early the next day. Our final day arrived and we quickly found ourselves leaving hotel Ali behind and travelling to the airport, one or two questions were asked at customs as some had forgotten to put all their camping equipment in their main bags and had various tent poles and such like in their carry-on bags. Another excellent flight saw us all arrive safely at Gatwick where we said goodbye to our Outlook leader Steve and one or two pupils who met up with parents. The rest of us boarded our mini bus for the long ride back to Rawtenstall and Alder Grange where delighted parents met their children and rushed them off home to listen to stories of the adventure they had all undertaken.